Carrot Top, Ginger Snap, Dorito Head. If you have the world’s rarest hair color, you’ve heard all the cheesy nicknames. Well, maybe not that last one. Red hair occurs in only 0.6 percent of people worldwide. In Scotland, however, upwards of 13 percent of people naturally sprout rusty locks and over 40 percent carry the ginger gene. Ireland also leads in a high percentage of red heads. Not surprisingly, that leads many red heads to attribute their fiery hair to Scottish or Irish heritage. But a leading scholar on the topic theorizes that these genes come from somewhere else. Heddle acknowledges that the topic needs more study and other experts in genetic ancestry like Dr. Jim Wilson claim that red hair is a trait of Northwestern Europe that likely has Celtic origins. Recently a paper published by Emily Pritchard, a genetics student at Edinburgh University, suggests that fair hair and red skin helped early Scots survive cool summers and short winter days because the adaptation helped their bodies produce greater amounts of vitamin D.
So if you share the doo donned by Beaker, Groundskeeper Willie, and Little Orphan Annie, don’t let anyone tease you and get away with it. Perhaps Donna Heddle is right. 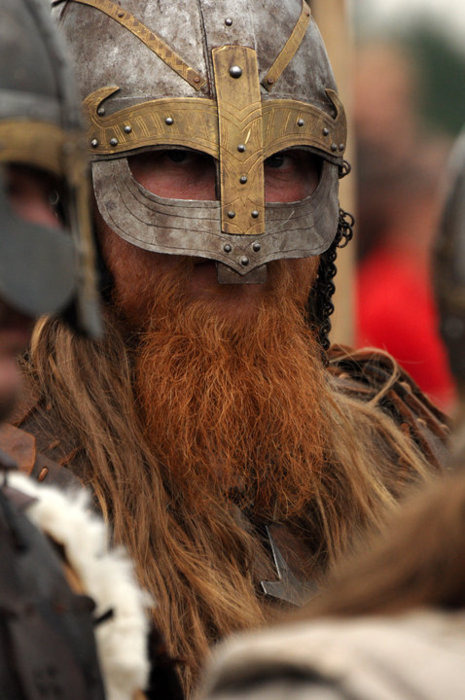 You might have Viking blood running through your ginger veins. So utter a prayer to Thor for strength. Steal your bully’s lunch. Eat it in front of him. And shout “O’Doyle rules!” Your ancestors would be proud. This entry was posted in ancestry and red hair, genetics and red hair, red hair, Red hair adaptation, Scotland and red hair, vikings and red hair on June 11, 2015 by Andrea Cefalo.